In early 2017, PROFAUNA Borneo's activists have been visiting a number of schools in Kutai Timur regency, East Kalimantan. During the visits, our activists educate the public about primate and habitat protection. The education activities were carried out by playing primate conservation films, presentation, discussion, and games. School students and teachers have always been excited when PROFAUNA come to their place, as getting information about primate conservation is a very rare opportunity for them. To attract the students' attention, PROFAUNA also distribute primate themed calendars and stickers. The calendars and stickers were produced with aid from the International Primate Protection League (IPPL) from the US. "Although the schools we visited are located quite close to forests, most of the students are not familiar with the primate species inhabiting the forests," said Bayu Sandi, the coordinator of PROFAUNA Borneo. Until today, PROFAUNA has visited seven schools including SMKN 1 Kongbeng, SMPN 2 Kongbeng, SMP 3 Kongbeng, and MTS Mangku Alam Kongbeng. 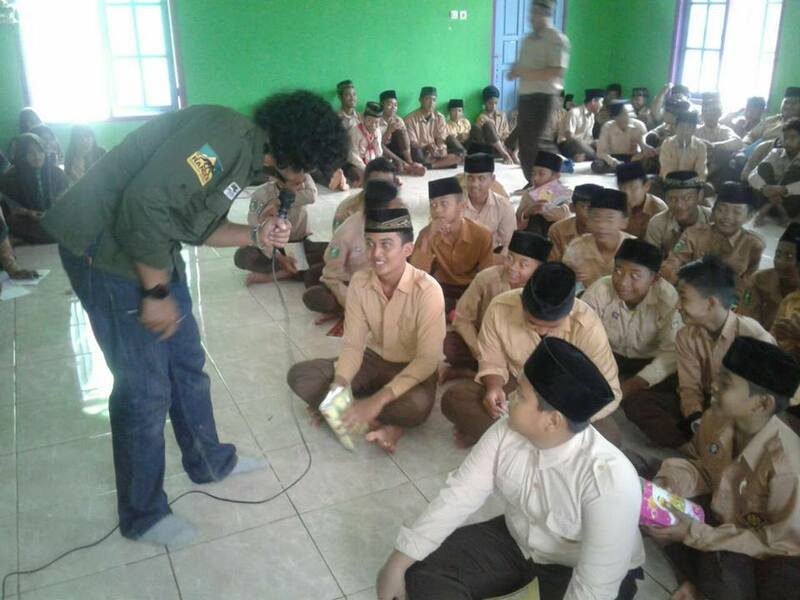 In addition, PROFAUNA also went to some schools in Muara Wahau, SMPN 2 Muara Wahau and SMA 1 Muara Wahau. "We will continue this education program because apparently the demands from schools to be visited by PROFAUNA are high," added Eric Yanuar, an activist who has been helping with the education program.